Earlier this week, Apple has announced the many announcements in the WorldWide Developer Conference 2013(WWDC) include the next desktop operating system OS X 10.9 Mavericks, iOS 7 and new Mac Pro. Though, Apple didn’t announce the release date of iOS 7. The beta version of the iOS 7 available for developers to download. However, you can install that in your iPhone device, even if you are not developer. Also note that it is a beta version of iOS 7, and you have to be extra careful before installing that in your device. iOS 7 is compatible with iPhone 4, iPhone 4s and iPhone 5. Obviously, you can install that in iPad 2, iPad 3, iPad 4, iPad Mini and iPod Touch 5G. But it not recommended to install this release in your iPad series. 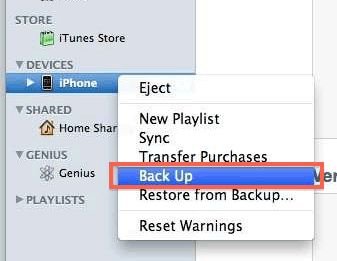 You may aware of this step, before doing anything in your iPhone, you have to back up all your data. For this download iTunes in your computer, if you haven’t before and connect your iPhone with iTunes. Now select ‘Backup’ and make a backup. Also note that, it is recommended that iTunes should be latest version. Download the following application according to your Device Model. If you have a mac, you can open the Downloaded file easily. If you are a windows user, you have to convert the DMG file to ISO file. Extract the “ispw” Firmware file from the downloaded file. In iTunes, press the SHIFT key (Windows) or Option key (Mac) and click “Restore.” Choose the option 6.1.4 (iPhone 5) or 6.1.3 (other devices). After that, Press SHIFT or Option again, click on the button “Check for Update”. A dialog is opened where you should locate the firmware (iOS 7 Beta 1)you just downloaded and extracted. If you have done the all the steps right, your iPhone will restart and installation process will begin. Just follow the steps in the screen and finish the iOS 7 installation in your iPhone. This iOS 7 firmware has been installed by many iPhone users and most of them have no issues, some users have minor bugs and some transitions in the screen. This step process is not recommended by Apple, so the risks of problems may occur. Also, the iOS 7 firmware is ins beta stage, so you may experience battery draining problems and some apps may unstable.